Greetings, friends! It’s been a few days since my last update, but I haven’t been idle. 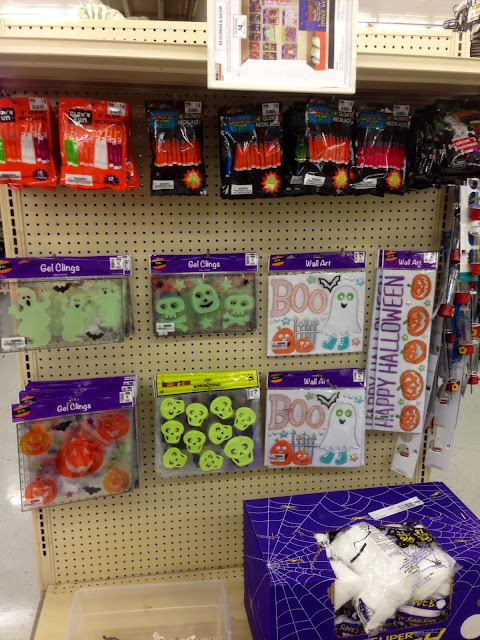 Have you noticed how early the stores are stocking for Halloween this year? I blogged about my first sighting at At Home (formerly Garden Ridge) which was on July 1st, a full one month earlier than last year. 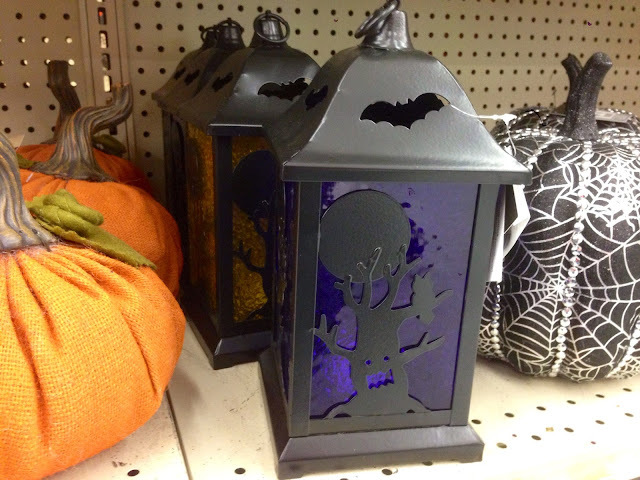 (And if you’re interested, that was at a chain called Home Goods, where the theme of ravens & blackbirds predominated.) Naturally, I’ve been keeping an eye on the usual merchants ever since, and they have not disappointed! Behold the collection from BIG LOTS, a discount chain most of you guys are likely well familiar with. 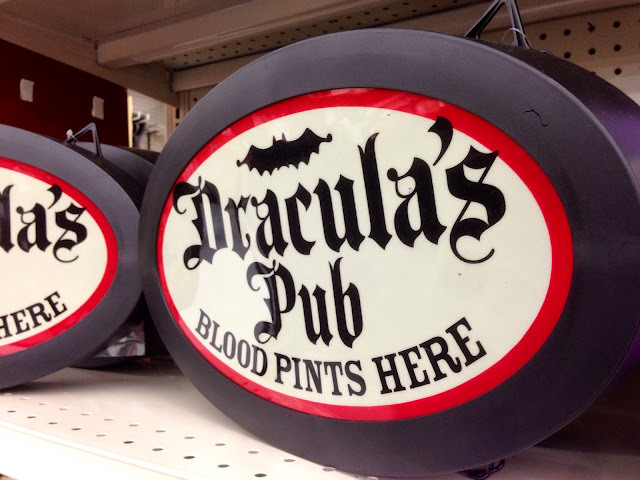 Here’s a legend for their selection of lighted decor. Make no mistake, there are some very pleasant surprises to be found. I would encourage you to click on the picture for a closer look. Have you discovered the magic of gel clings yet? 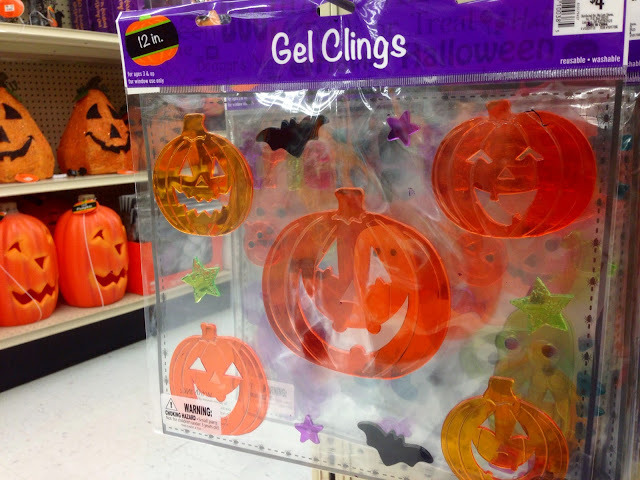 We love to fill our windows with these things at all seasons of the year. If you have enough, they almost create the effect of stained glass. 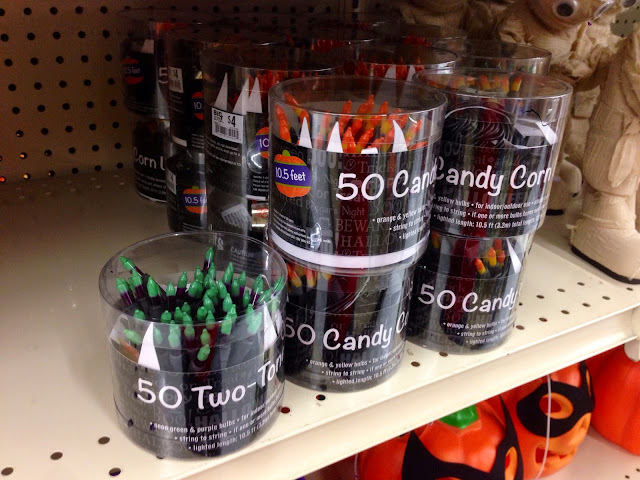 The Halloween variety, though, are traditionally among the year’s best. 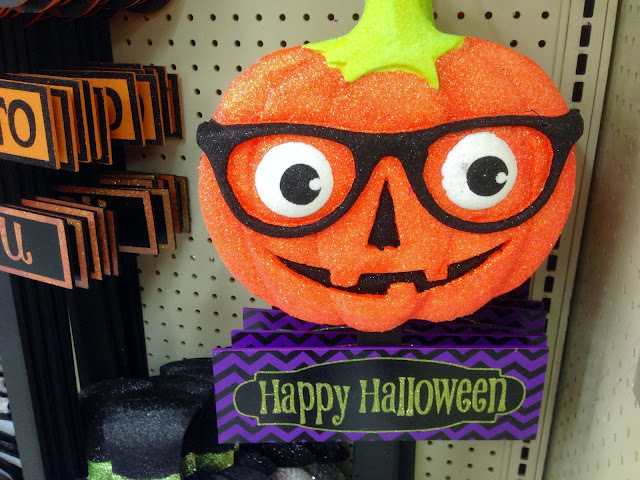 Target, The Dollar Store, Wal-Mart, Spirit Halloween store, and others all offer unique selections, which makes it fun to try to collect as many different ones as possible. 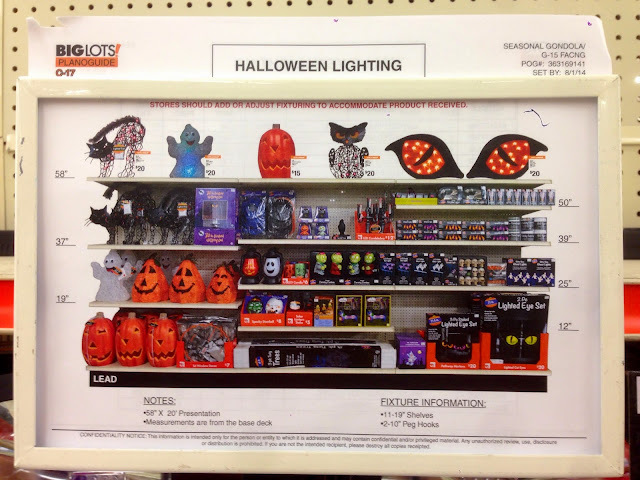 I liked the ones at Big Lots this year, particularly the jack o’ lanterns. 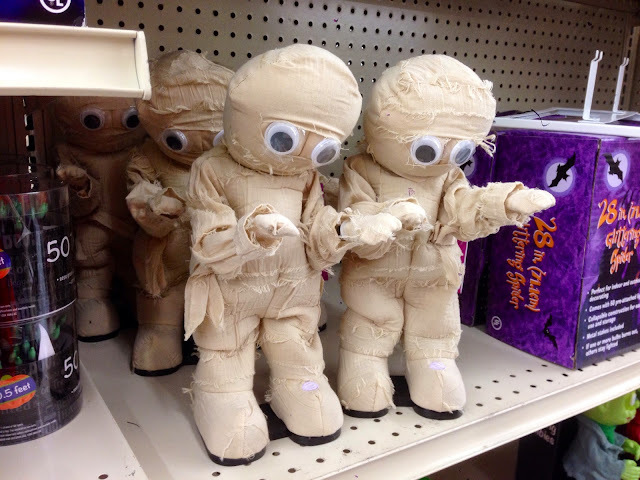 These little mummy characters dance to Micheal Jackson’s Thriller. More like twitch, actually, which makes them a hundred times cooler. Check it out. I actually loved their largish selection of lights. I saw some varieties I hadn’t before, like the green/purple mix. 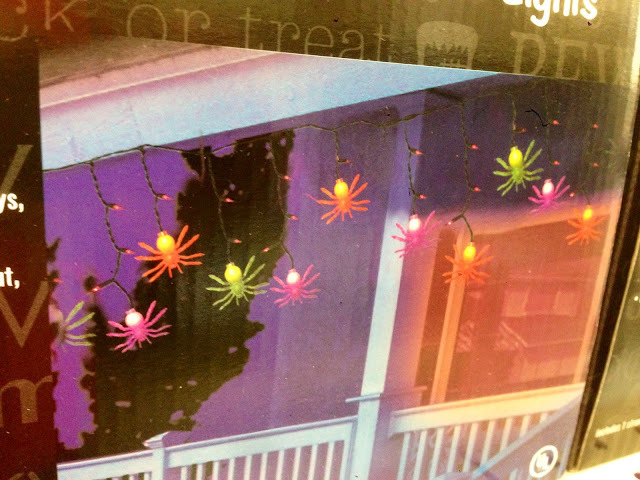 The candy corn lights can do double duty for Thanksgiving (you do decorate with lights for Thanksgiving, don’t you? ), so I was sure to pick up some of those. 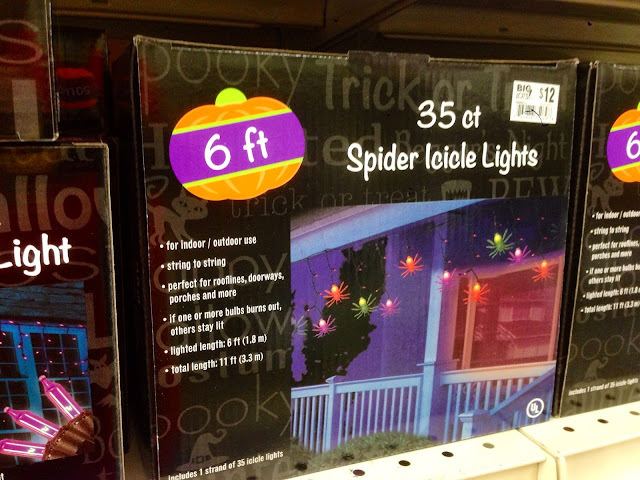 These spider icicle lights looked fantastic. ThePonyOwner says our theme this year is “ghosts and spiders”, so this is a must. 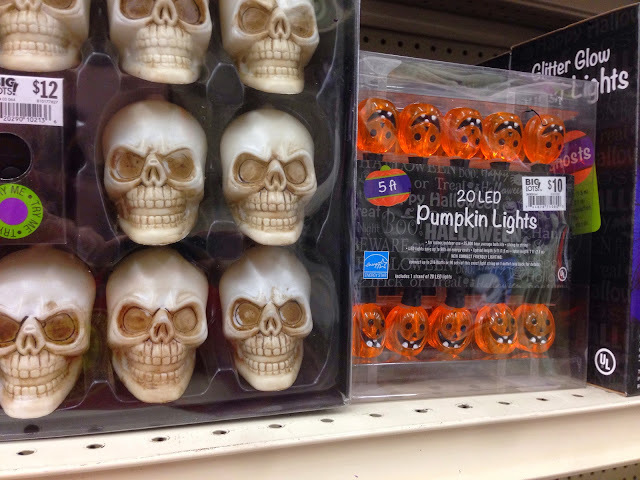 What do you know, skulls next to pumpkins! Mike Cathcart, don’t you have the copyright on that arrangement? More lights, because I like lights. Was there a reason to give this guy glasses? Introducing the Steve Urkel of Halloween yard signs. Not bad signage for a folksier, Cracker Barrel-chic kind of look. 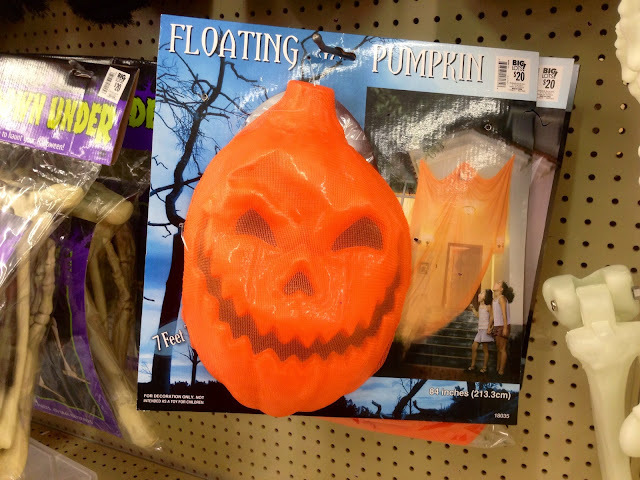 Floating Pumpkin, more like jack o’ lantern specter. 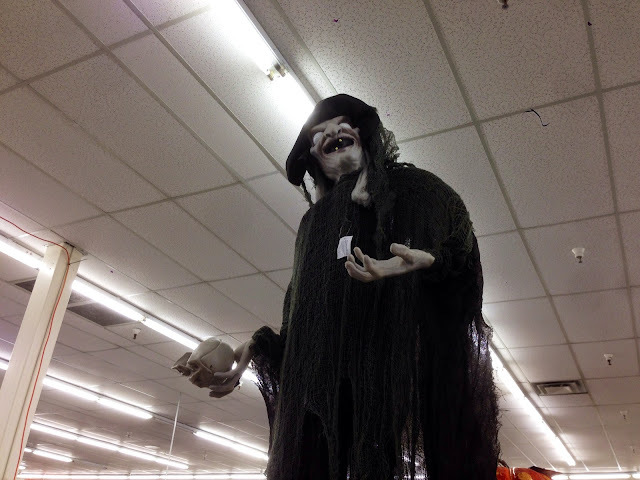 Another item on my personal must-buy list, as it appears to be the brother of the tall white ghost we bought at CVS last year. It strikes me that this would be easy (and cheap) to convert into a full-on adult costume. Hmmm. 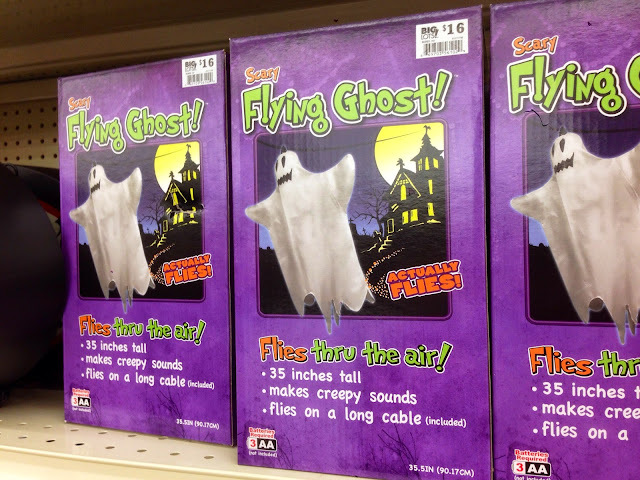 A variant of the ghost I just mentioned, this one is rigged to “fly” across your yard on a zip line. Pretty cool effect for $16, don’t you think? Stick this in your game room or kitchen. 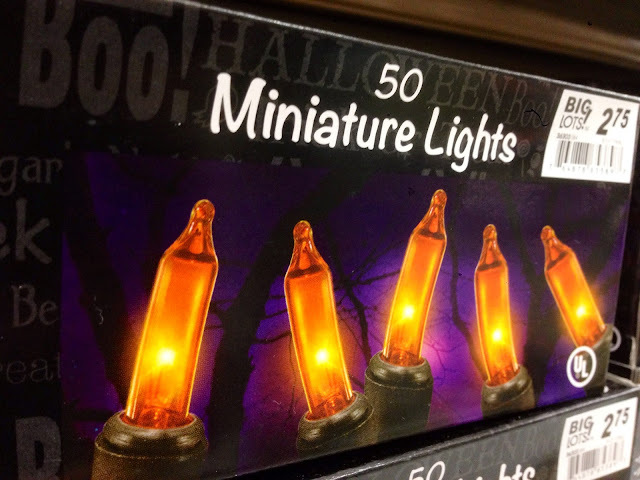 We already have one of these little light-up haunted forest devices, but the motion sensitivity sensor failed on it last year. 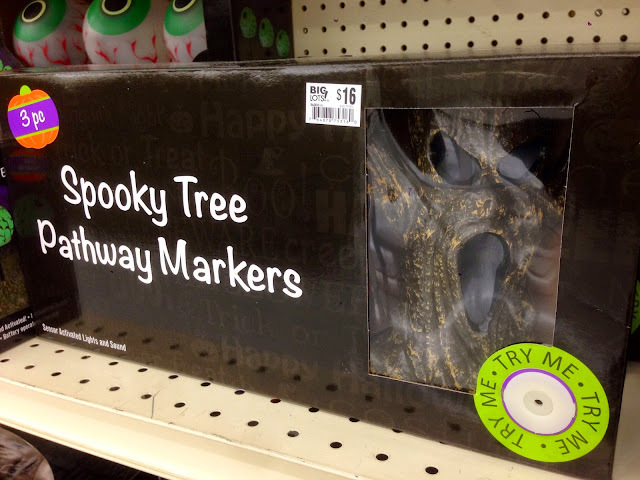 Makes great, and loud, spooky noises. 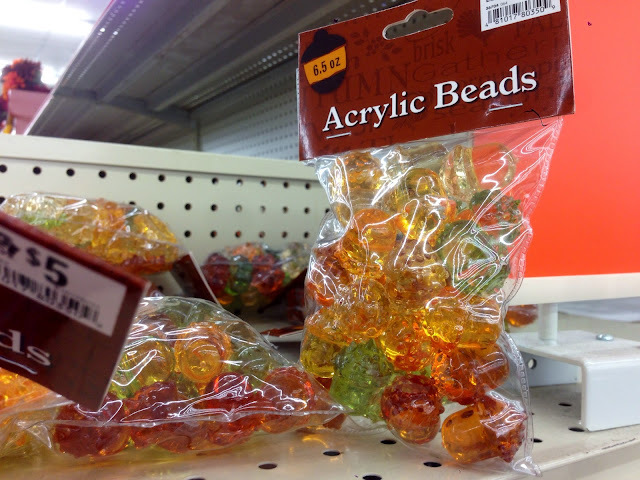 More of a fall item, I like to use these beads as geocaching swag. 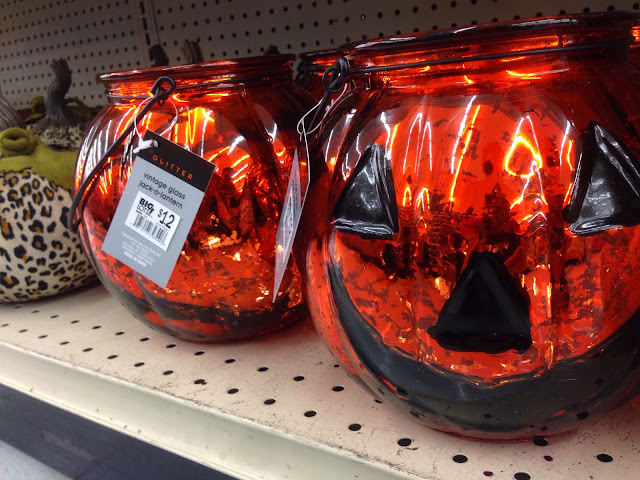 Also on display were assorted home decorations, like these large jack o’ lantern candle holders. 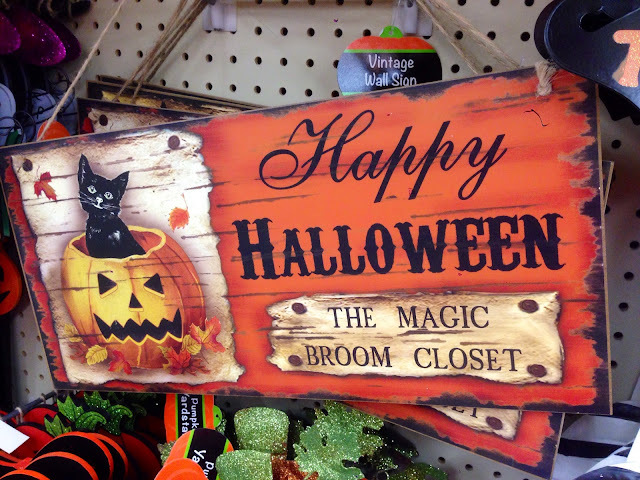 All in all, Big Lots has a great Halloween selection. The prices are a little higher than I would expect for some items, but still basically reasonable. If you like what you see, get down there today and stock up.